You are here: Home » Austrian Wine Welcomes the EWBC to Vienna! Austrian Wine Welcomes the EWBC to Vienna! 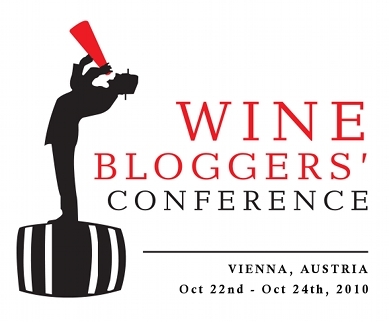 The European Wine Blogger’s Conference officially begins this coming Friday (the 22nd,) but many EWBC participants have already begun trolling the streets of Vienna and/or will arrive very soon! Special thanks to all of the US wine bloggers that made the trek down – we promise, you’ll be happy you did! Special note: if you are a US Blogger and are interested in meeting up with the fellow US attendees (or if you’re from somewhere else and just want to meet a bunch of US bloggers!) there will be an informal meet and greet at Loos American Bar 10pm tomorrow night, email Steven Raye, sraye@comcast.net, for more details! Don’t worry if you couldn’t make it down this trip – you’ll still be able to attend through the internet… and you’ll have an excuse to stay up all night drinking Austrian wine! Wine Everybody, a France based company, has paired with the EWBC, providing real time feedback, updates and more on the conferences happenings and information. Check that out here. Adegga helped out a bit by creating the EWBC Wine List (and what a wine list it is!) to be downloaded on phones and/or used on the computer so attendees can record their tasting notes – feel free to join in if you have one of these bottles lying around… we know we’ll be tasting along! Also, if you enjoyed the videos posted from Vie Vinum, created by Finkus Bripp of Wine on the Rocks stay tuned after the conference. Rumor is this media sponsor will be back for more. Stay tuned, the wine bloggers are about to hit Vienna… it’s sure to be an ereignis von geradezu epischen proportionen (event of epic proportions! )!